Read about the Canberra launch of our campaign, with heroic climate emergency kayaker, Steve Posselt below. There are events on Saturday 25 February and Monday 27 February. 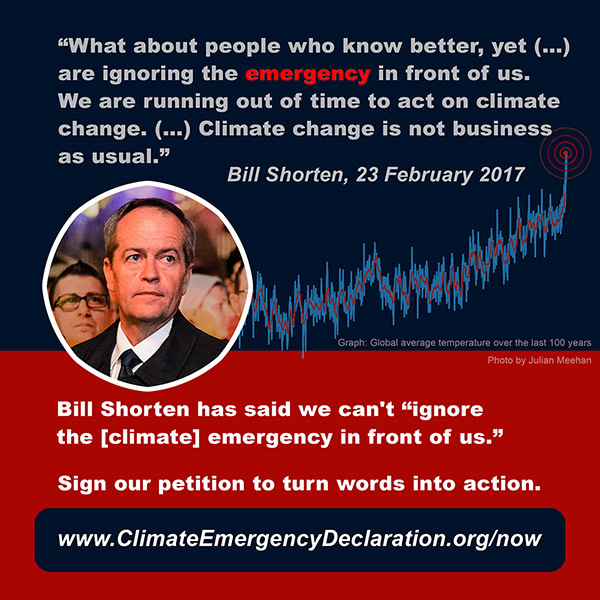 When we started our campaign to declare a climate emergency, some doubted we would ever get the major parties on board, but we already have three Labor federal members of parliament supporting our campaign – David Feeney, Peter Kahlil and Sharon Bird – previous opposition Liberal leader John Hewson, and strong support from the Greens. Labor policies are still a long way from the WW2-scale mobilisation we are campaigning for. But a willingness to say we are facing an emergency is a great start! » Please share the tile above on social media. There are now three Victorian councils which are supporting emergency action on climate – Darebin, Yarra and Moreland. 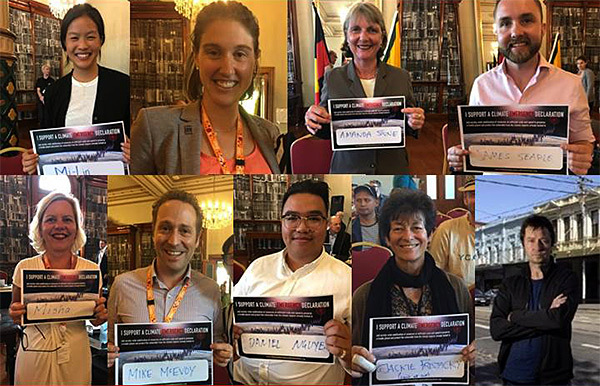 All nine of the Yarra councillors have signed up to support declaration of a climate emergency and a WW2-scale mobilisation! They include mayor of Yarra Amanda Stone, Mi-Lin Chen Yi Mei, and anti-freeway campaigner Danae Bosler (ALP); Misha Coleman, Mike McEvoy and James Searle (The Greens); Jacky Fristacky and Daniel Nguyen (independents); and Steve Jolly (Socialist Party). 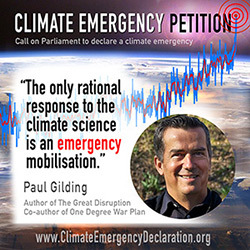 Support for our campaign to declare a climate emergency continues to grow. Nearly 1,300 people signed on at the Sustainable Living Festival, including Xiuhtezcatl Martinez #kidwarrior, an amazing 16 year-old hip-hop artist and community campaigner, who is suing the U.S. government for inaction on climate. 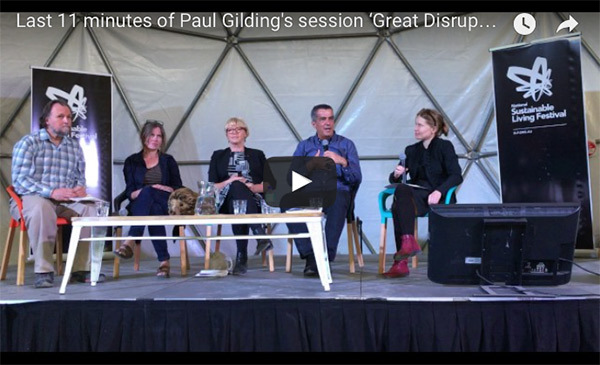 There were numerous emergency themed events at the Sustainable Living Festival, including a powerful talk on the climate emergency by Paul Gilding, Great Disruption to Great Transition. It was streamed on Facebook and you can see more video recordings here. The session exploring the critical role local councils can play in reversing global warming was really interesting. You can listen to each of the presentations and the questions that followed on www.climatesafety.info/localgovernment. 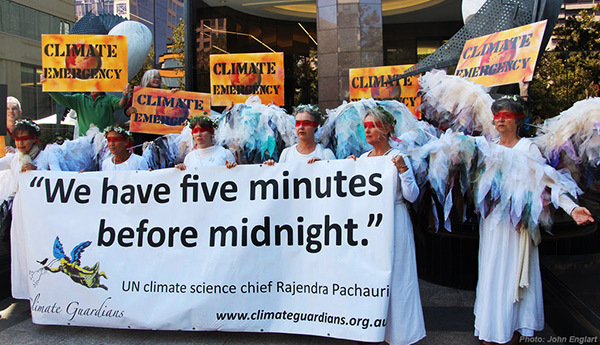 Climate activists and the Climate Guardian Angels took the emergency message to the U.S. consulate in Melbourne to express outrage at the appointment of climate change deniers to key positions in the U.S. government. 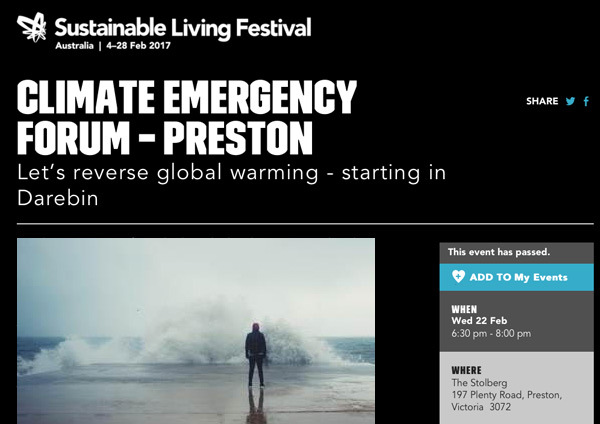 A group of community activists in Darebin have been holding a series of local climate emergency forums. The next one is on Tuesday 28 February. If you are in Victoria, join us at the next Victorian Climate Action Network meeting on Sunday, 30 April, 1.00–4.30pm at St Vincents Hospital, corner of Nicholson Street and Victoria Street, enter from Victoria Street. 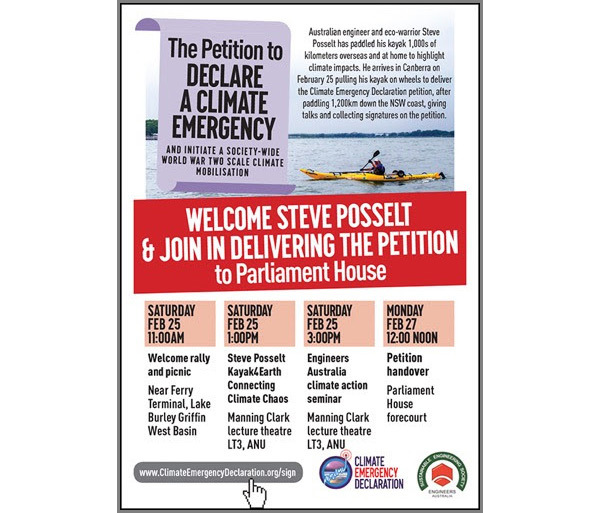 Yesterday, engineer and climate warrior Steve Posselt was just 10 kilometres off finishing his eight-week 1,200 kilometres kayak trek to Canberra to deliver our climate emergency declaration petition. 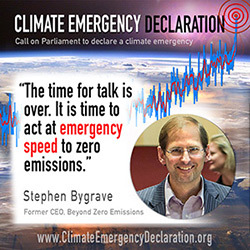 Hope those of you in or near Canberra will join us for the Kayak4Earth Canberra finale events welcoming Steve on 25 Saturday February and the Climate Emergency Declaration petition handover at Parliament House forecourt at 12 noon on Monday 27 February 2017. All the details are at the Facebook event page. We are hoping for representation from across the political spectrum. 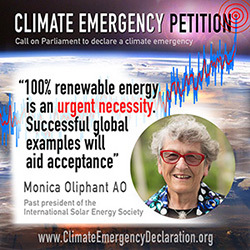 Emergenct climate action should not be treated as a political football! Fancy hearing about Steve’s venture and meeting up with some ‘cool’ engineers who are keen to implement climate solutions? You can RSVP to the FREE Saturday afternoon Engineers Australia events at ANU at this EventBrite link. Right now we have almost 18,000 signatures on the petition we will be handing over next Monday. This will mark the end of Steve Posselt’s kayak trek collecting signatures, but we still want to continue collecting signatures till we reach 100,000 or so, at which point we expect that a motion will be moved in support on the floor of the Houser of Representatives. We’d love to hit 20,000 by the end of this weekend, though, so if you’ve not yet asked all your friends and relatives to sign, please do so NOW! They can sign at www.climateemergencydeclaration.org/now. Of course unless you raise the issue of population you are just wasting all our time (no offence intended if you are well informed as I suspect you are you know I am right). So unless we cut the population & get people to love and cherish the planet more than say their i-phones by say 8 years ago many (most) of us and many of our fellow creatures are doomed. Oh drat where is Dr Who when you need him! p.s. lest you think I am just a doom-say-er this opinion has been formed over many years studying the science (I have an engineering and environmental training) and in conversation with a former CSIRO mathematician who studied it and understood it at a very hi- level. Ironically one must maintain a sense of optimism in the face of it not only to operate (& not collapse) but also to operate well and have any hope of generating good solutions to problems. I make sure I watch/listen to or read a certain amount of humour each week!